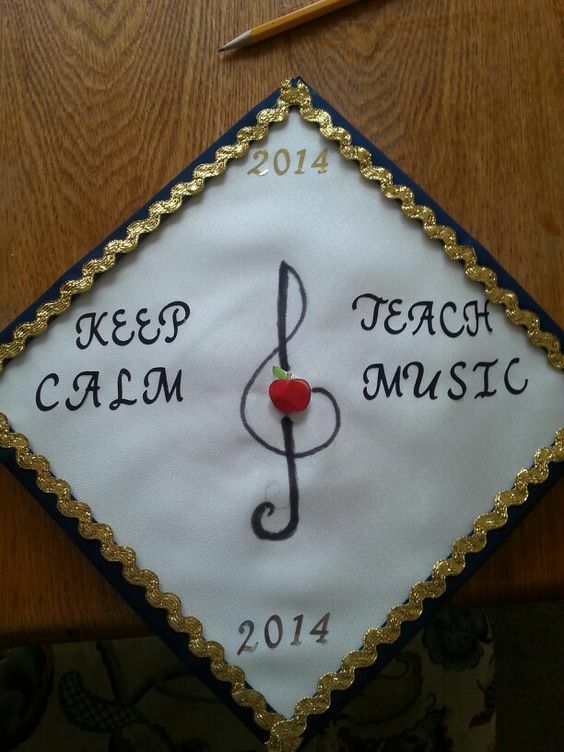 Music Graduation Cap Designs - Inspiration for the Music Generation! 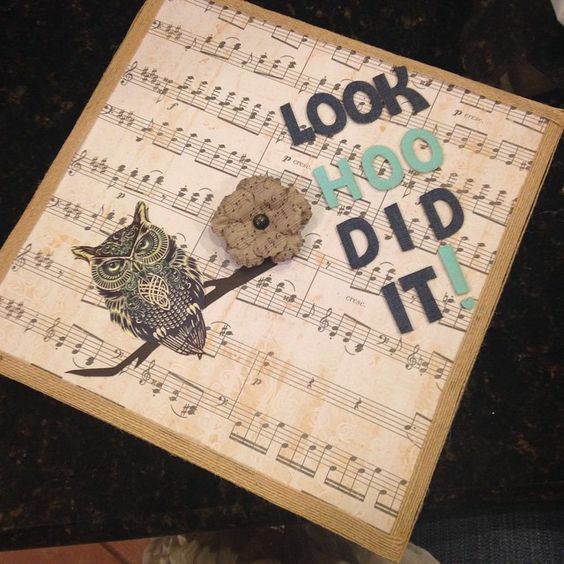 Music graduation cap designs – here we assembled an assortment of the nicest graduation cap decorations for music graduates we could find! Music is a fine art. No matter where you are in the world, music is part of the culture. From the Chinese Se to the European violin to the high tech hang drum, music is important all over the world. One of the most ancient cultural forms, some people say you need to be born with talent to be a good musician. Reading musical notes is hard! We want to make your graduation day a little easier. After all, the hard work is finally over! 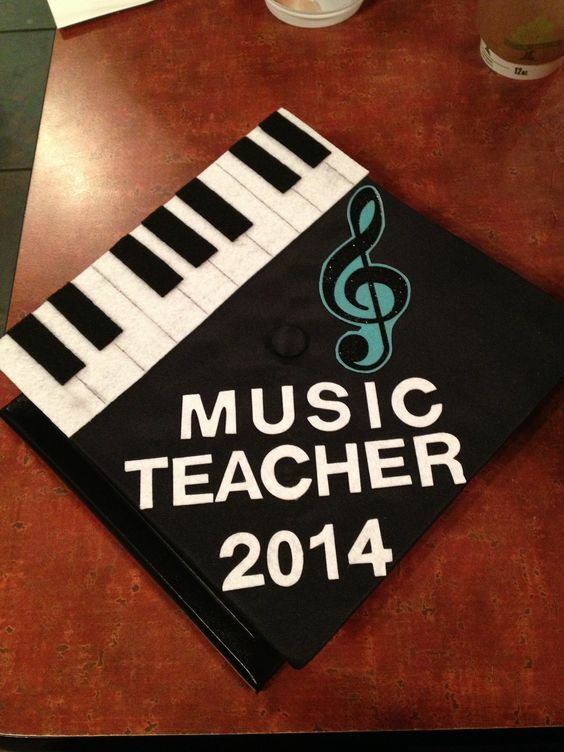 Here’s a compilation of the most awesome graduation cap decorations for music majors. 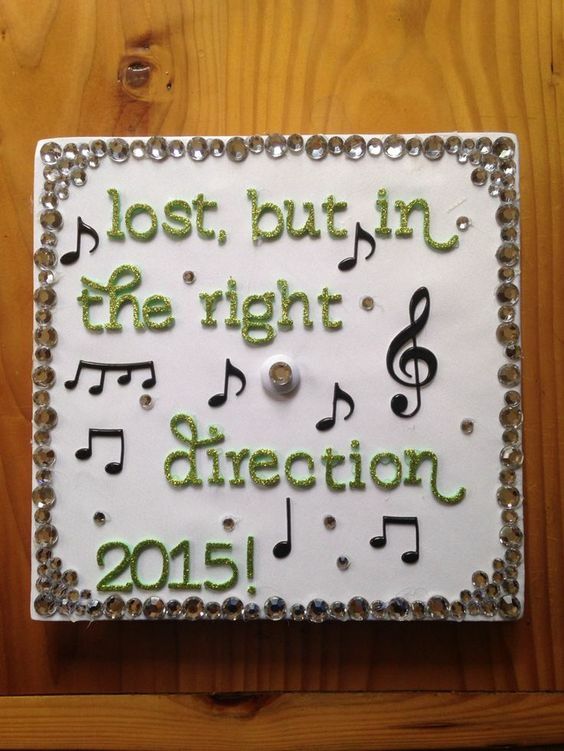 1: Sheet music is a perfect centerpiece, with a pearl outline to make it pop. 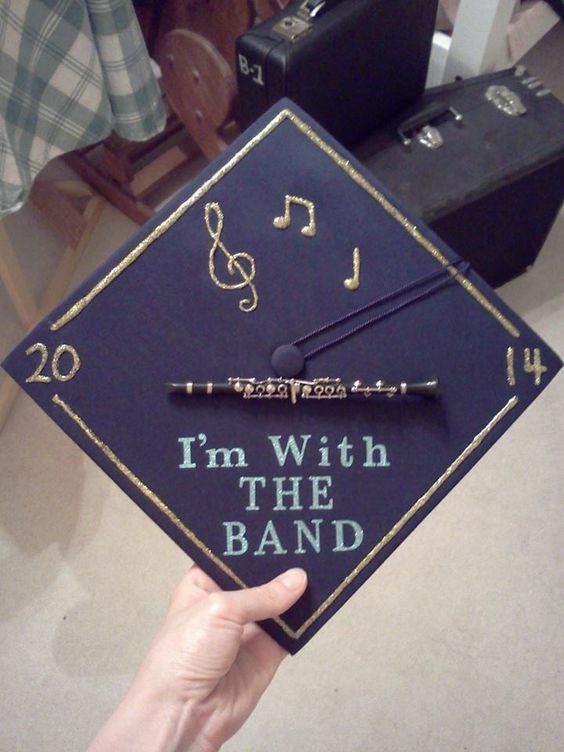 2: If you can fit your instrument on the mortarboard, that’s a great way to stand out! 3: A bow to Harry Potter fans, with a contemporary musical note twist! 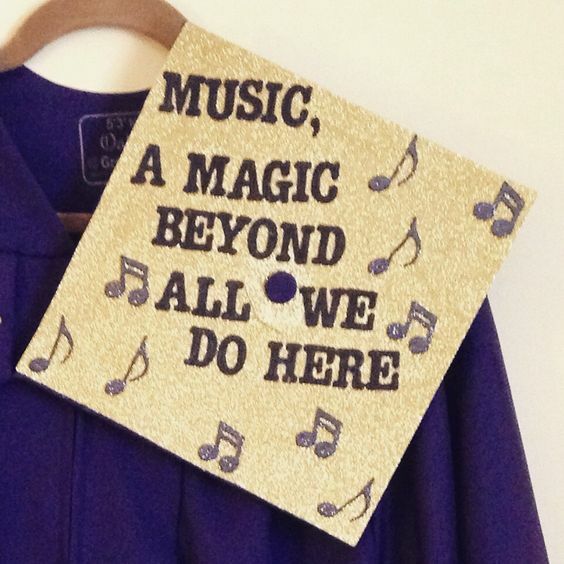 4: There’s no better way to pop on graduation day than a shiny graduation cap! 5: Another sheet music background! 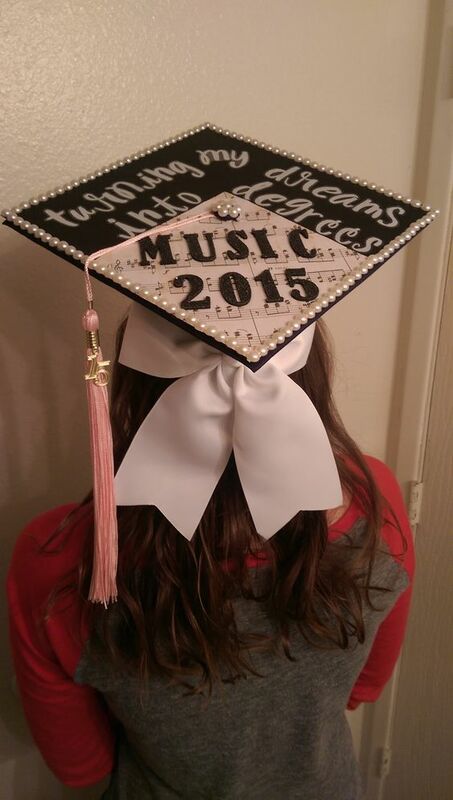 It is a recurring theme in the musical world, and looks great on your head (with an owl)? 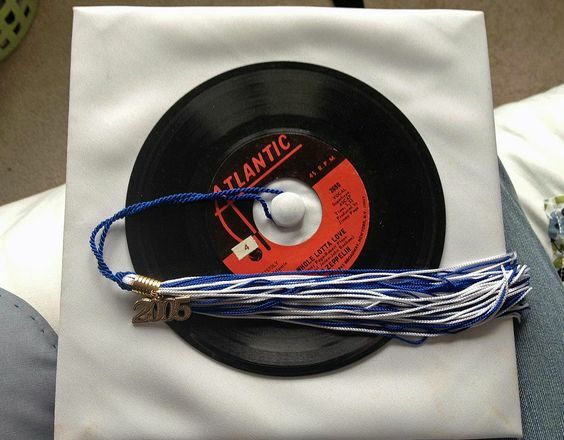 6: Keep it simple, classy and retro with an album! An outline would make this one perfect. 7: Look, shinies! 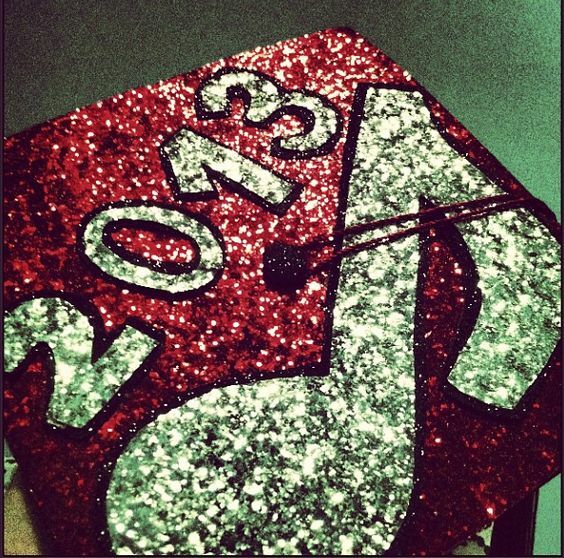 Rhinestones take your graduation cap to a whole new level. 8: Now that’s style. 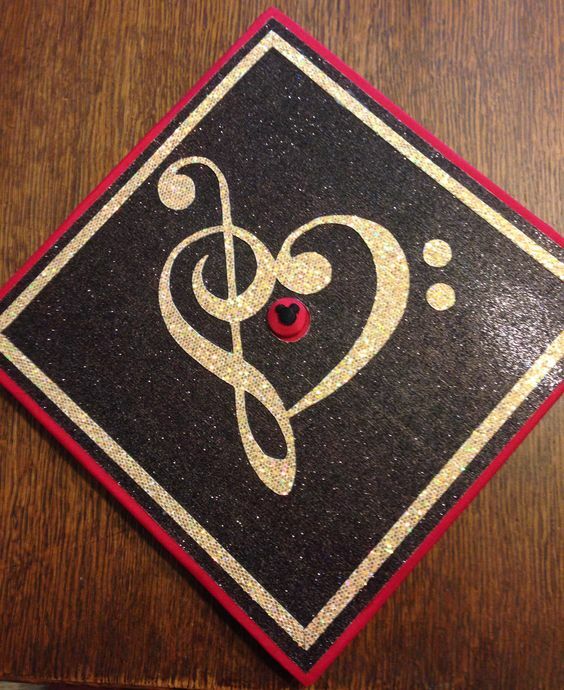 A heart and a music note, with a shiny, three-tone background graduation cap. 9: You can teach it or play it; either way you got skill. 10: One more teacher playing the right note. A gold embellished outline stands out in a sea of mortarboards.